I found the pattern for this vintage style two piece on Ebay a few months back and wanted to make something with it for a while. It’s great because it has a few different styles in one, so was a bargain at around £4! You can find some real treasures on Ebay, especially when it comes to vintage sewing patterns, this one had been used once but still had all the right pieces. 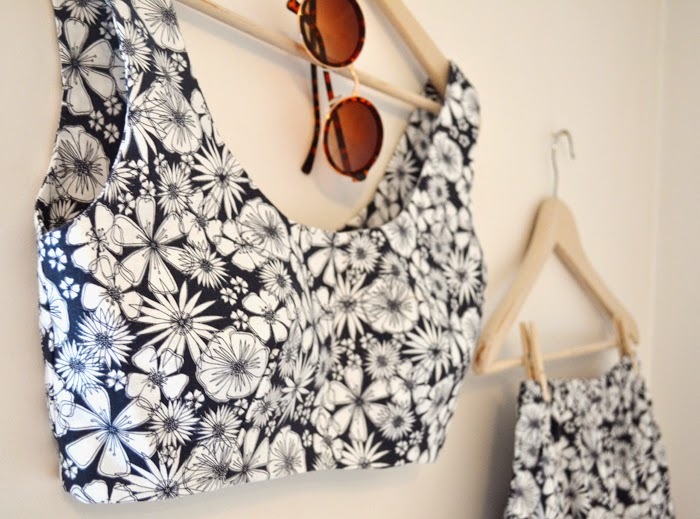 I spotted this gorgeous printed, light-weight cotton fabric at the Knit & Stitch show in Manchester back in February so thought I would combine the two to make the perfect summer co-ordinate. 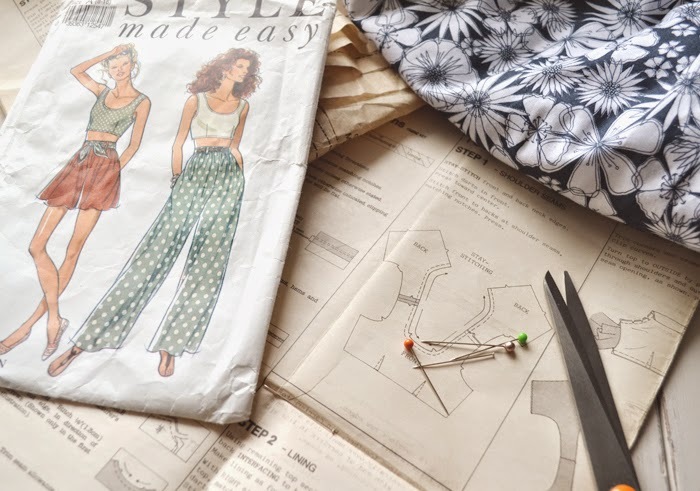 There’s something about sewing using vintage patterns I love, and I think they produce the best styles and shapes. I changed the pattern slightly to fit my shape and altered the length to suit my taste. The pattern came with a belt and loop holes but I decided not to add those on. The top fastens up with buttons down the back and the shorts have a elasticated waistband, which I love and are super comfy. I also love that this pattern came with pockets in the shorts! 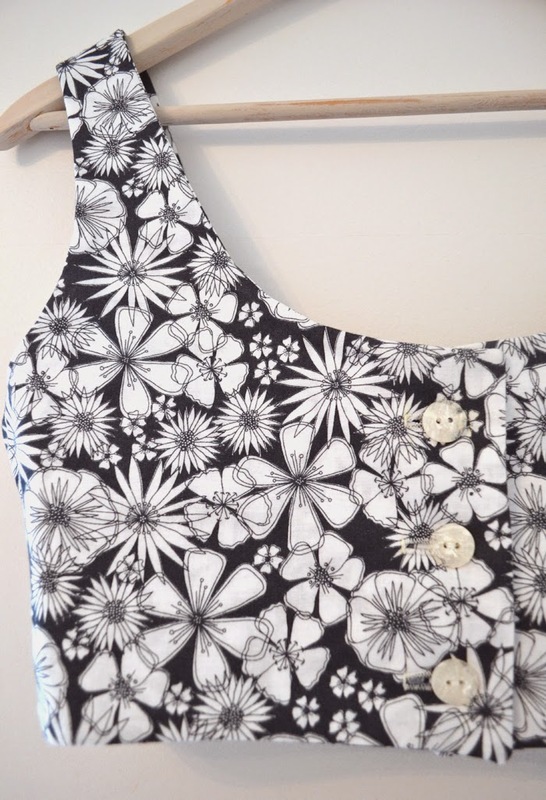 This was my first attempt at creating button holes on my sewing machine and I feel they worked really well! It only took me a few nights after work to finish this outfit, then a few more hours hand stitching the buttons on. 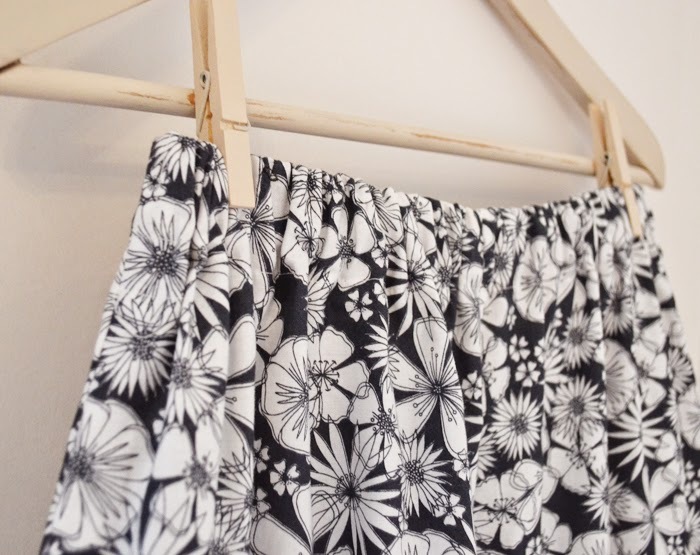 I am definitely going to make some more two pieces in different fabric for friends as I love the style so much and it is perfect for the coming summer months. Follow Anna’s board | Inspirations | on Pinterest.